And it has a dog in it! A dog! 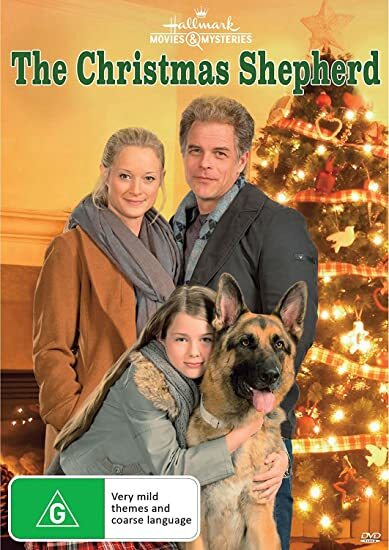 When I first noticed this movie listing I was afraid it would be another small town Christmas pageant gone wrong, but no, the shepherd in this case is one of the furry German variety. When I was little my parents built a house on what used to be farmland. The farm house still stood, set back off the road about 100 feet and the farm family lived in it. That family had a large German shepherd named Duke and, since I was five at the time, he out weighed me by about double. My parents were—concerned—, but I loved that dog and he loved me. When the neighbor accidentally ran him over (he was deaf and sleeping behind the father’s truck and the father didn’t look when he backed up) I was destroyed. They immediately got another shepherd they named Penny who I also loved. Duke and Penny cemented a life long love of German Shepherds (as well as medium large dogs of all minds) in me. So when I realized the shepherd was a dog, I was thrilled and plopped down to watch. I won’t give away the plot, but there’s leading and healing and everything ends happily. Worth a spot in your holiday movie line up!